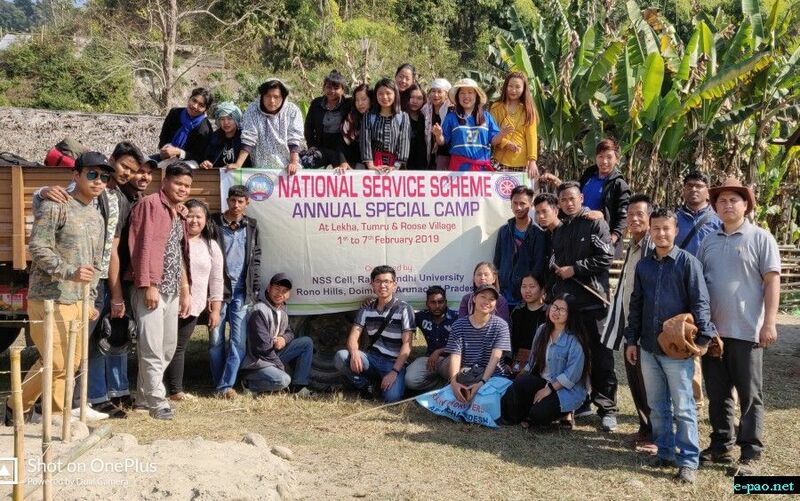 NSS Cell of Rajiv Gandhi University has successfully completed the NSS Special Camp 2019 held on 1st February to 7th February 2019 on the theme ‘Community Engagement and Sustainability’ at Tumru Village. The objectives of the camp is to exposed the volunteers into rurality, at the same time understand the rural issues and engaged them with various activity. 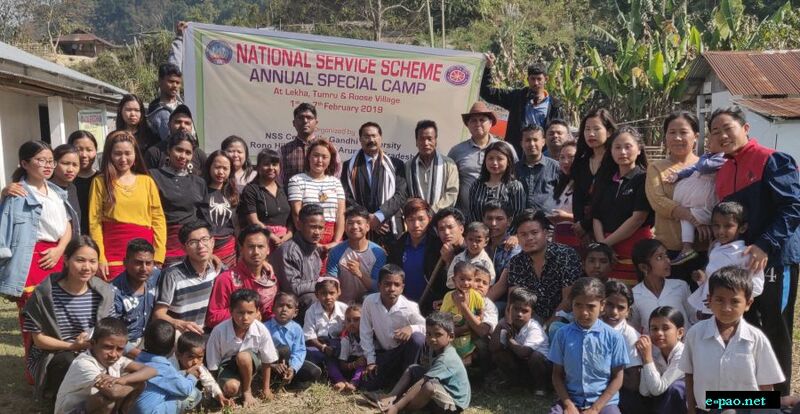 For the camp, 30 NSS volunteers along with programme coordinator Dr. Vivek Singh and programme officers (POs) Mr. Gomar Basar, Bhaskar Jyoti Chutia and John Gangmei went to adopted Tumru village of Doimokh and worked with the villagers. On the first day selected volunteers were divided into four groups and orientation was given by the PO’s and Mr. Nangbia Neme, Goan Bura of Tumru welcomes the team. Volunteers were engaged in yoga, awareness programme and several sessions during the stay. During the stays volunteers (groups) also conducted study of village by applying participatory rural appraisal (PRA). With the Goan Bura request, Volunteers levelled the ground and fenced the Tumru Primary School compound and they also had interactive sessions with school children and parents on education, health and hygiene. Meanwhile, Prof. Saket Kushwaha VC of RGU also visited the village in the august programme was attended by school children, teachers, villagers and Goan Burah regarding their problems encounter by villagers. He spoke on length on the importance of good health, child quality education. VC assured his support to villagers and to provide free basic medical treatment at the University Health Centre. The VC also presented two fire extinguishers to Goan Burah and School’s Headmaster. The Goan Burah expressed his gratitude and blessing to the RGU VC and NSS volunteers for their valuable activity and services. Rono Hills, Doimukh, Arunachal Pradesh.